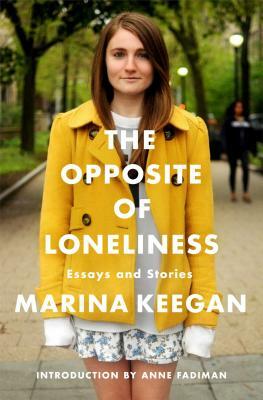 The Opposite of Loneliness: Essays and Stories by Marina Keegan What astonishing writing. This collection is divided between the author’s fiction and non-fiction pieces. The fiction is searing and raw, the non-fiction shows an amazing degree of awareness – I found myself wanting to highlight every third sentence. 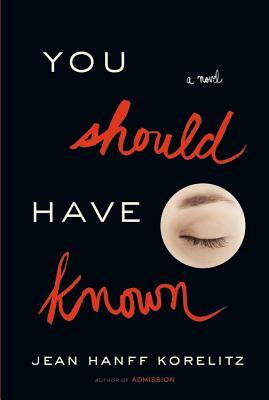 You Should Have Known: A Novel by Jean Hanff Korelitz I LOVED this book. The most captivating, interesting novel I’ve read in a while. I can’t say much without giving things away, but the irony of how great the protagonist’s relationship advice seems, and what ultimately happens, is brilliant. Add to your TBR pile immediately – you’ll be glad you did. The Book of Jonah: A Novel by Joshua Max Feldman A strange retelling of the biblical book of Jonah set in modern-day Manhattan. This starts out strong, but lost me when Jonah moves to across the world and all these new characters are introduced and none of their stories really resolve. The Good Luck of Right Now: A Novel by Matthew Quick After reading the Jonah book, I’ll confess I had quirky male protagonist fatigue. This was an interesting story but not a happy one. It’s like a cross between Patricia Wood’s Lottery (a compliment), and The Catcher In the Rye (not so much). Glitter and Glue: A Memoir by Kelly Corrigan The author of The Middle Place turns her attention to her relationship with her mother, and how a year in Australia caring for two motherless children opened her eyes to the depth of this relationship. Poignant stuff, and I just love her voice in whatever she writes. Her descriptions of her mother’s quirks and idiosyncrasies are comedic gold. This is a solid vacation read. Growing Up Duggar: It’s All About Relationships by Jana, Jill, Jessa, and Jinger Duggar You know I love the Duggars :) This is a sweet collection of thoughts and young wisdom from the four oldest Duggar girls. There’s not much new or surprising, but the consistent message of how they use their faith to steer them through challenges is inspiring, and I appreciated how they debunk the myth that their life is always easy or perfect. My favorite part was when Jinger described volunteering at a women’s prison. They don’t show this on the show, and her story of loving these women and seeing God expand their sense of hope is really touching. The Women of Duck Commander: Surprising Insights from The Women Behind the Beards About What Makes This Family Work by Kay, Korie, Missy & Jessica Robertson Sad to say there was not much here. I appreciate their desire to protect their family relationships, but with all the insistence that all their challenges are in the past and everything is wonderful now (they all love one another, treat each other with respect, live simply by faith) it doesn’t make for much of a book. Rhinestone Jesus: Saying Yes to God When Sparkly, Safe Faith is Not Enough by Kristen Welch This is a great story buried in a spiritual inspiration book. The format is unfortunate, because the real story – how the author and her family were inspired to build a safe home for pregnant women in Kenya – doesn’t need to be dressed up in the “you can be more than just a mom” self-help genre. The book is a series of incredible tales of what the author saw and how it (and God) inspired her to take action to help pregnant woman in need…mixed in with truly mundane exhortations along the lines of “do something,” and “God never said it would be easy.” The form is so entirely mom & family centric that it’s difficult for anyone who does not fit into these categories to relate. I will definitely recommend this book to friends looking for inspiring stories of God moving through individuals to help others in need – but with the caveat that there are longish sections they’ll need to skim to get to the meat of the story. Disclosure: I received copies of each of these books from their publishers in exchange for an honest review. This entry was posted in Book Recommendations and tagged Glitter and Glue, Growing Up Duggar, rhinestone Jesus, The Book of Jonah, The Good Luck of Right Now, The Opposite of Loneliness, The Women of Duck Commander, You Should Have Known on March 14, 2014 by Trish Ryan.